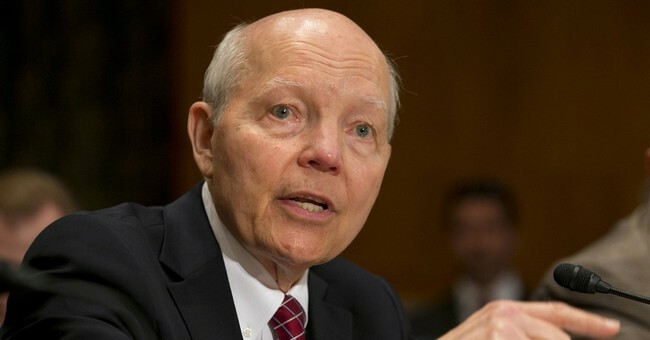 In a 23-15 vote, the House Oversight Committee has voted to censure IRS commissioner John Koskinen over stonewalling and false statements surrounding the IRS targeting of tea party groups. "The Resolution expresses the sense of the House that Mr. Koskinen engaged in a pattern of conduct inconsistent with the trust and confidence placed in him as an Officer of the United States, urges Mr. Koskinen’s resignation or removal, and requires forfeiture of his government pension and any other federal benefits for which he is eligible," the Committee released Wednesday. A resolution for impeachment is still pending.